Individuals with disabilities enjoy weekly visits in their homes from pairs of volunteers, giving parents respite while the child enjoys homemade fun with his/her friends. This program has created lifelong friendships between the volunteers, the participants and their families. Held monthly, on the first or second Sunday of the month at Emerald Bowl. Bowling Buddies gives the opportunity for participants, both volunteers and families alike, to socialize and create everlasting bonds in a relaxed setting. A traditional Friday night Shabbat meal for the whole family. Five times a year, we get together for a short service, Shabbat traditions, homemade food and enjoyable atmosphere. The relaxed setting is a wonderful chance for families, volunteers and visitors to shmooze and get to know each other. 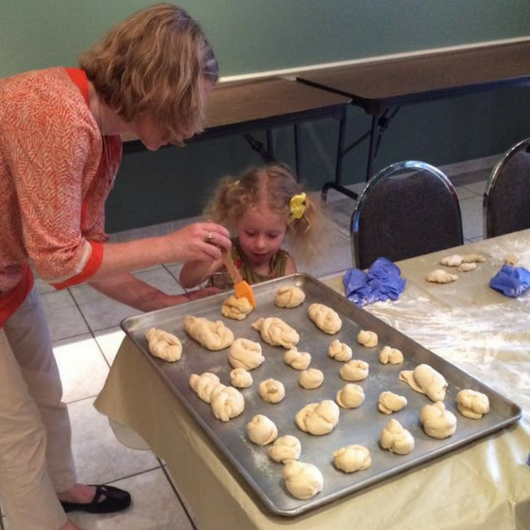 Each Tuesday evening prior to the Shabbat dinner, come and connect with existing and new special friends and volunteers to bake delicious challah for Shabbat. The Friendship Circle Holiday Programs allow the entire family to celebrate together in a comfortable setting. Volunteers are on hand to ensure that the events meet the particular needs of each participant. Innovative activities bring the warm and joyous feelings of the holidays to the participants and their families. 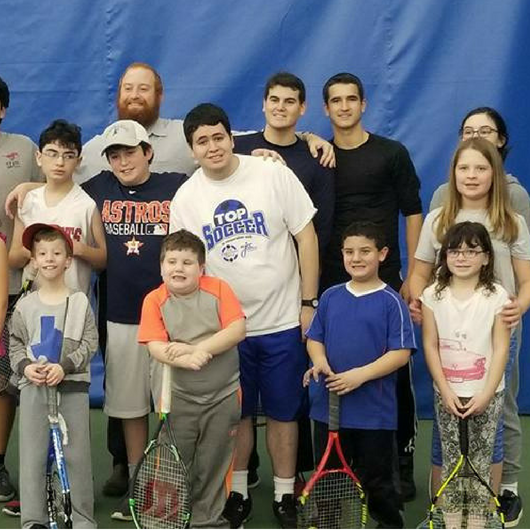 Tennis camp is a drop off program for children with disabilities. It is held monthly from September through May at the indoor JCC tennis courts and has become a very popular program. A joint program with J-teen Art Scene founded by Ellie Gershenwald, a Friendship Circle volunteer. Friendship Circle participants and volunteers express themselves through different art mediums, culminating in an art exhibition at the JCC. The Annual Mom's Night Out is a special night out for Friendship Circle moms to relax and rejuvenate, a night to call their own. The Friendship Circle Young Adult (FCYA) Division is a program for young adults with disabilities. Judaic and social programs are arranged every other month, and participants are paired up with young adults from YJP(Young Jewish Professionals) Houston and other young adults from around Houston. The main goal is to help young adults with disabilities to participate in mainstream activities in the Jewish community and form friendships that will last a lifetime. Extending a helping hand to individuals with disabilities and involving them in a full range of social and Judaic experiences through the Richmond and Brenham State School as well as at The Center in Houston and the Menniger Clinic.